Fichtel Mountains, Bavaria: Online Travel Guide to Highlights in the Fichtel Mountains. You can float up the 1024 meter to the summit of Mount Ochsenkopf in comfort and safety from Bischofsgrün or from Fleckl. Up here you'll find a radio tower, the Goethe Rock, the Asenturm tavern, and more interesting sights and discoveries for the whole family. A sledge track - whether alone, as a pair, even with grandma and grandpa, and of course kids - everybody loves this sledge track with probably the most beautiful setting in the rough landscape of Bischofsgrün. It's easy - the speed can be controlled by the hand gear, and it just takes a few descents to turn a beginner into a pro. The starting point is easy to reach by cable car - Intermediate Station, or by foot (a 20-minute walk from both the base or the summit station). And then starts the fun, racing through the ten steep turns on this approx.1000-meter long track, covering 140 meters of altitude difference. Historically grown as a margravial residence, made famous by the Richard-Wager-Festival, the largest town of Upper Franconia is today a modern business and university town on its way to becoming the High Tech Center of the region. 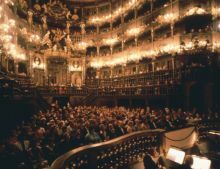 Bayreuth offers the most beautiful baroque theatre in Europe: The Margravial Opera House. Charming palaces, the historical parks of Eremitage with its dreamy grottos and trick fountains, the Festival House with its unique acoustics, as well as 20 interesting museums are inviting visitors. Numerous music and theatre festivals offer cultural pleasure at its highest level. The Fichtel Mountains - Center of the "White Gold"
Almost everybody touches it every day. For some it is an article for everyday use they take for granted, for others it is a piece of art, sometimes even a cult object. 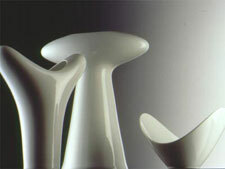 We're talking about Porcelain, the "White Gold" of our days. The aspiring pharmacist Friedrich Böttcher of Berlin was ordered by the Saxon prince August the Strong to turn inferior material into Gold, which he ultimately couldn't accomplish. But at the end of his alchemical experiments stood the invention of European Hard Porcelain that became a different sort of gold mine for the prince. After the "Arkanum", the secret of manufacturing this desired material, was slowly being disclosed, manufactories were set up in many places across Germany; their resounding names such as Hutschenreuther, or Rosenthal, are known and appreciated even today. The German Porcelain Museum in Hohenberg/Eger was set up at the original location of Porcelain manufacturing. It is housed in a former Hutschenreuther residence, where some members of the family lived until recently. A modern annex was added to make an exhibition of a respectable part of its treasuries possible. But in spite of the almost 4,000 square meters of exhibition space, a lot still has to remain in storage and can only be displayed at special exhibitions. The European Museum of Porcelain Industry in Selb has taken on the challenge to display the different steps of Porcelain production in all its varieties. Housed in a preserved former Rosenthal factory, everything is displayed and explained here that is necessary to understand the fire birth of this precious material. 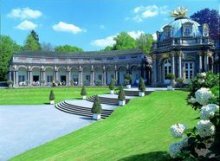 The museum covers the history and the development of Porcelain manufacturing not only in Germany, but all across Europe. The French Sèvre can be found here right next to Bohemian Karlsbad, the Hungarian Herend right next to the English Stoke-on-Trent, and all other famous brands of Porcelain. This place surely lives up to its promise.